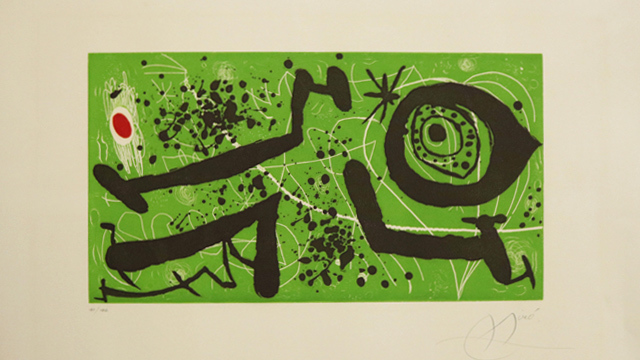 Catch Leon Gallery's online auction on January 18 and 19. 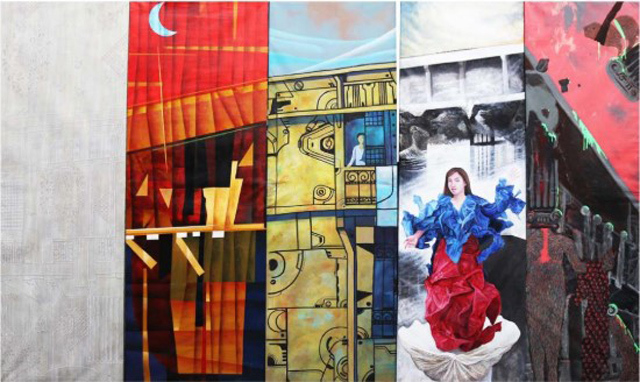 (SPOT.ph) No two artists see the same subject the way, and one can clearly see this from the five-paneled mural painted by contemporary artists Alfred Galvez, Julius Legaspi, Derrick Macutay, Abe Orobia, and Jared Yokte, all of whom painted their own interpretation of the historical Bahay Nakpil-Bautista in Quiapo. 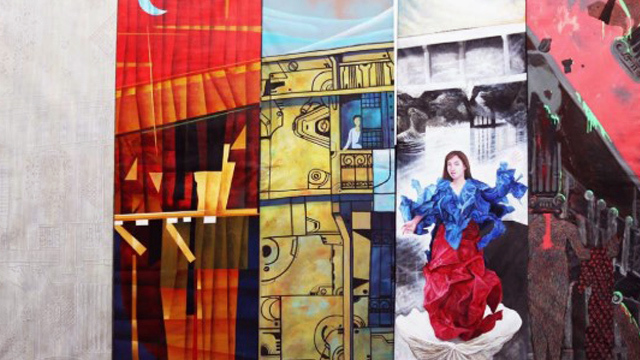 The nineteen-foot mural is a project aimed to help repair and conserve the cultural property, and will be auctioned off at a starting bid of P200,000 at León Gallery's upcoming online auction on January 18 and 19. Now operating as a museum space, the historical house serves as a landmark of Philippine history. It once became the home of Gregoria de Jesus, widowed wife of Andres Bonifacio, when she later married Julio Nakpil. The funds raised from the mural's sale will be used to help repair and conserve the house, which was declared as a cultural property in 2011. 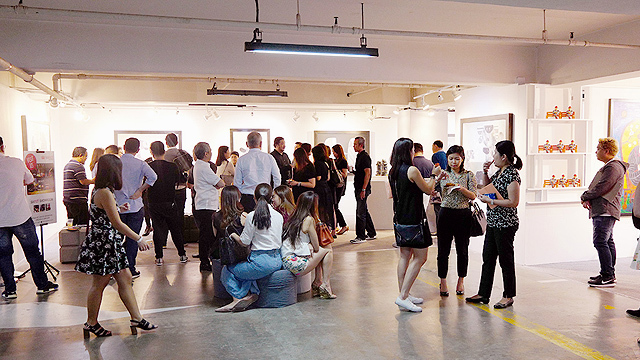 Aside from the mural, León Gallery's two-day online auction will also feature works from masters and contemporary artists of the Philippines, as well as an assortment of furniture and one-of-a-kind accessories. 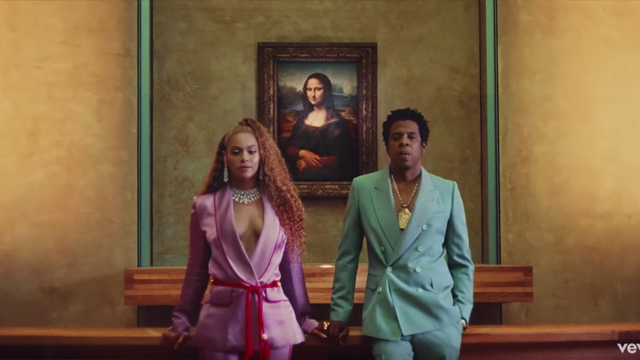 "There is something for all art collectors and enthusiasts as well as those who simply want to live with beautiful and stylish things," says Leon Gallery Director Jaime Ponce de Leon. 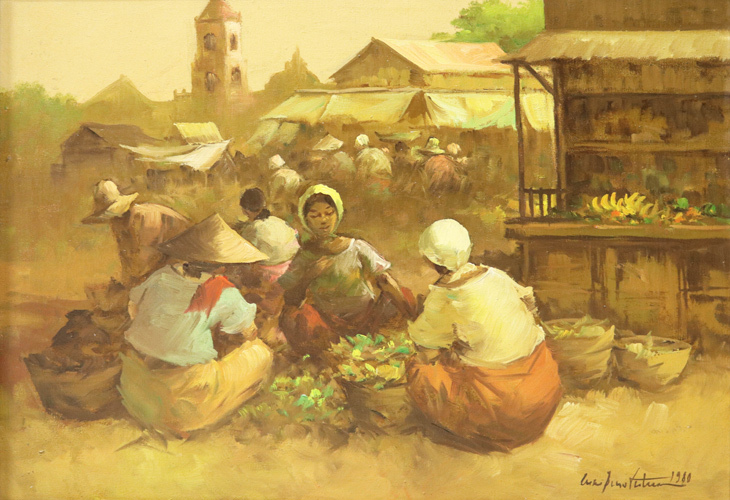 The auction will include works from Federico Aguilar Alcuaz, Cesar Buenaventura, Romeo Tabuena, Juvenal Sanso, Mauro Malang, and more. A selection of contemporary works by Jigger Cruz, Emmanuel Garibay, Marcel Antonio, and Joan Miro will also be up for grabs. 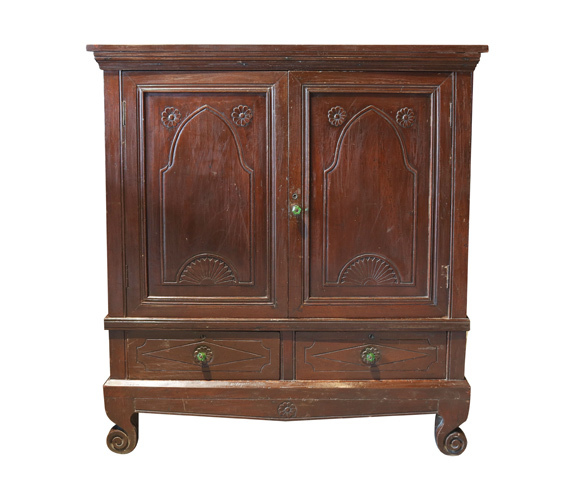 Furniture and accessories from Anton Roxas and philantropist Presy Lopez-Psinakis will also be auctioned off, featuring sofas, chairs, ottomans, cabinets, ceramics, and other rare finds. "One can indulge his or her taste for the exquisite at various price points at the upcoming online auction and all that from one's armchair or boudoir," says de Leon, noting that the online auction offers a convenient way for clients to bid from their mobile phones, tablets, and laptops. The León Exchange online auction is on January 18 and 19, 11 a.m. For more information, visit Leon Exchange's website.